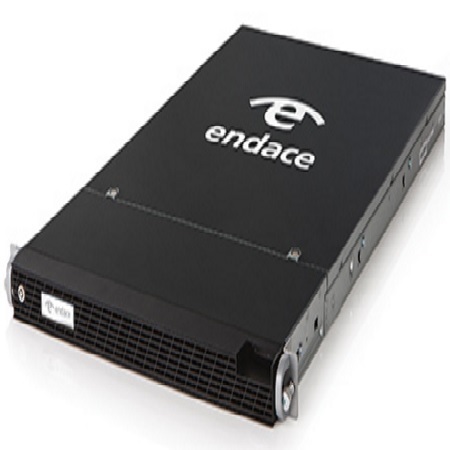 The EndaceCMS™ Central Management Server provides powerful, centralized command and control for a connected fabric of EndaceProbe™, EndaceFlow™, EndaceAccess™ appliances, reducing management overhead and lowering operational costs. Designed to manage estates of ten to hundreds of Endace appliances, EndaceCMS maximizes the investment in monitoring infrastructure by streamlining configuration and management of client Endace appliances. In a large enterprise environment, applying software updates and patches over a large number of appliances and servers, particularly inside short change control windows, can be a formidable task. EndaceCMS automates this process for your Endace monitoring and recording fabric, ensuring all connected Endace appliances receive updates in a timely manner without compromising monitoring visibility. At-a-glance estate health and status, along with customizable alarms and thresholds allows for proactive management of any number of Endace appliances. Rapid identification of malfunctioning or overloaded appliances enables rapid response and remediation, ensuring that when a critical event occurs there is no gap in coverage across the monitoring fabric.